Black magic, secret societies, ritual dances and exploring the eerie underwater remains of WWII wrecks are not the stuff of ‘typical’ cruise itineraries, but Coral Princess’s five-night Vanuatu adventure and discovery voyages include all this – as well as the luxury of the 72-passenger expedition ship, the Oceanic Discoverer. Following the success of its inaugural Vanuatu program in 2007, Coral Princess has released sailing dates for just three voyages in November, 2008, with the intention of introducing passengers to some of Vanuatu’s least-visited corners and most fascinating traditional customs, while minimising the impact on the local culture and environment. Departing from Port Vila, first stop is Ambrym Island – famed for its black sand beach, ‘black magic’ and towering twin volcanoes. The Rom spirit dance – performed in situ by special arrangement with the local villagers – is associated with sorcery and is rarely witnessed by outsiders. The day is spent with the villagers and snorkelling on the reef, and the evening is illuminated by the lava glow from nearby Mts Marum and Benbow. Maewo Island is also known for its ancient secret societies and dancing, but waterfalls, rivers and lush rainforest give the island its physical beauty. There are rainforest walks on Maewo and Ambae Island – said to be James A. Michener’s inspiration for Bali Hai. Espiritu Santo, Vanuatu’s largest island, is known for one of the most stunning strips of golden sand in the South Pacific: Champagne Beach. Passengers can relax on the beach or there are bushwalking and water activities. Later in the day, experienced SCUBA divers have the opportunity to dive on the SS President Coolidge, sunk during WWII. With its collection of jeeps, munitions and extraordinary sea life, it’s the largest intact shipwreck accessible to divers in the world. Malakula is the most culturally diverse island in Vanuatu and locally produced art and ritual objects are among the finest in the country. Gaining an insight into the complex ceremonies of the remarkable Big Namba and Small Namba tribes is a highlight of the voyage. Throughout the cruise, there is ample opportunity to swim, snorkel and SCUBA dive, utilising Oceanic Discoverer’s onboard facilities, under the guidance of instructors and naturalist guides. The finale of the voyage is an afternoon exploring the amazing coral reef complex of the Maskelyne Islands, with its colourful corals and prolific fish life. The Oceanic Discoverer travels with a purpose-built excursion vessel, Xplorer, a fleet of inflatable Zodiacs and a glass bottom boat, allowing guests to explore Vanuatu with naturalists and experts who interpret natural, cultural and historical highlights. Prices start at $3,150 per person twin share in a Main Deck B stateroom, including accommodation, all meals, lectures and services of expedition staff on board, group transfers, most activities during the cruise, and landing fees. 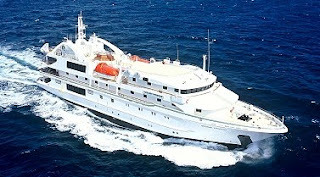 There are departures from Port Vila on November 10, 15 and 20, 2008. For further information and reservations contact Coral Princess on 1800 079 545 or visit www.coralprincess.com.au.